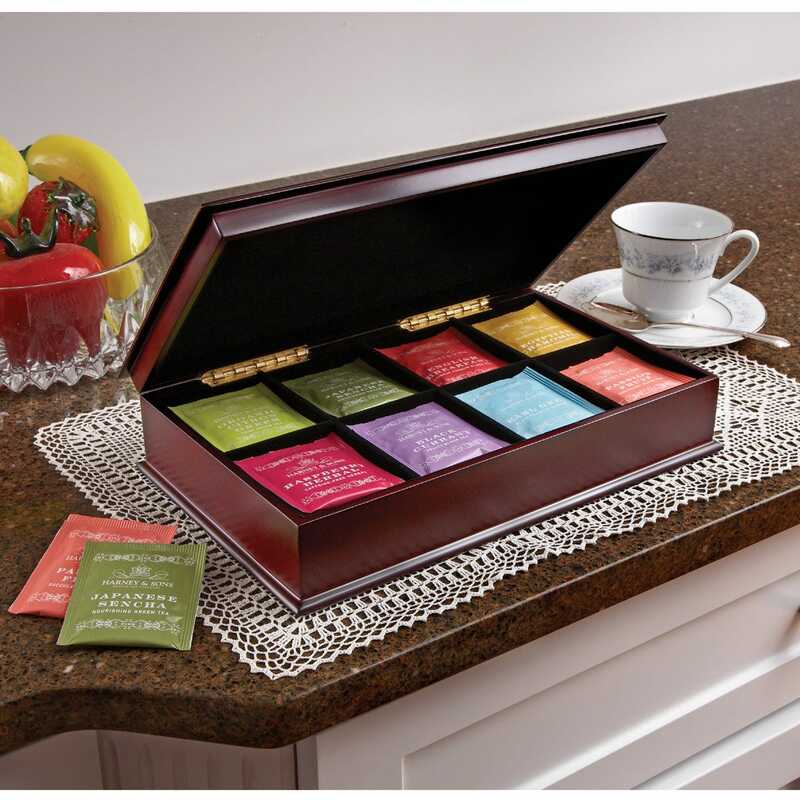 Beautiful wooden chest with eight individual compartments, each filled with a different selection of premium teas from Harney and Sons. • Elegant wooden chest lined in velvet measures 13 by 8 inches—3 inches tall. I would recommend this Tea Chest to all my friends. It's an excellent product, and the Tea is great! !